These super lines are a perfect combination when used together with Shimano tackles for the ultimate fishing experience. The ultra-strong braided Spectra Fibre was processed with Enhanced Body Technology (EBT) to create an incredibly round, smooth and sensitive line. 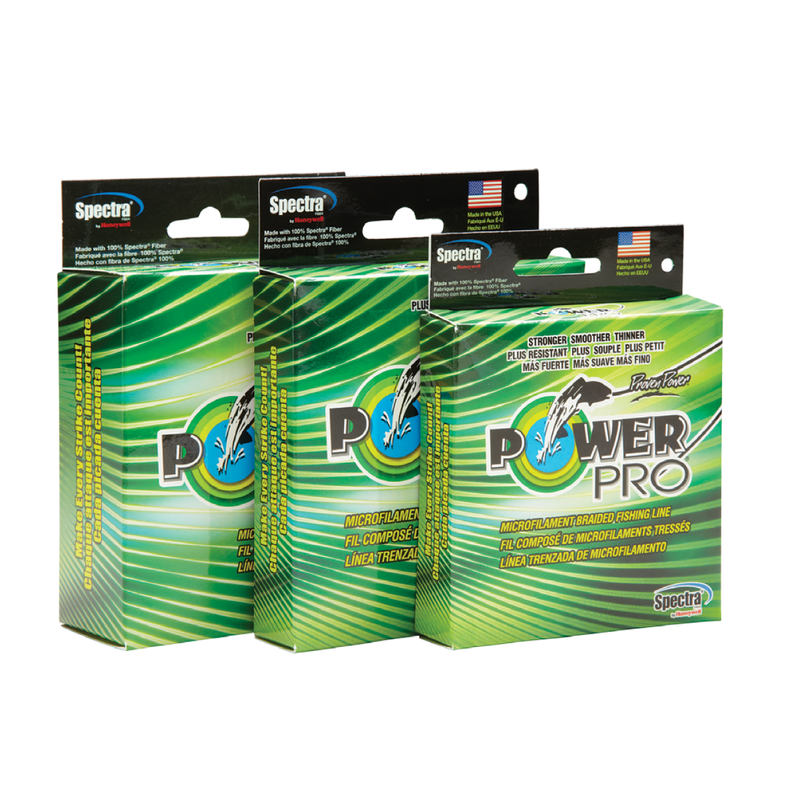 Powerpro outperforms monofilament s and in any situation & leaves other superlines in the dust. Older first generation superlines were made of abrasive materials that could cut rod guides and take a toll on fishing equipment. Powerpro solves these problems through Superslick, non-abrasive Spectra Fibre composition and unique EBT processing.